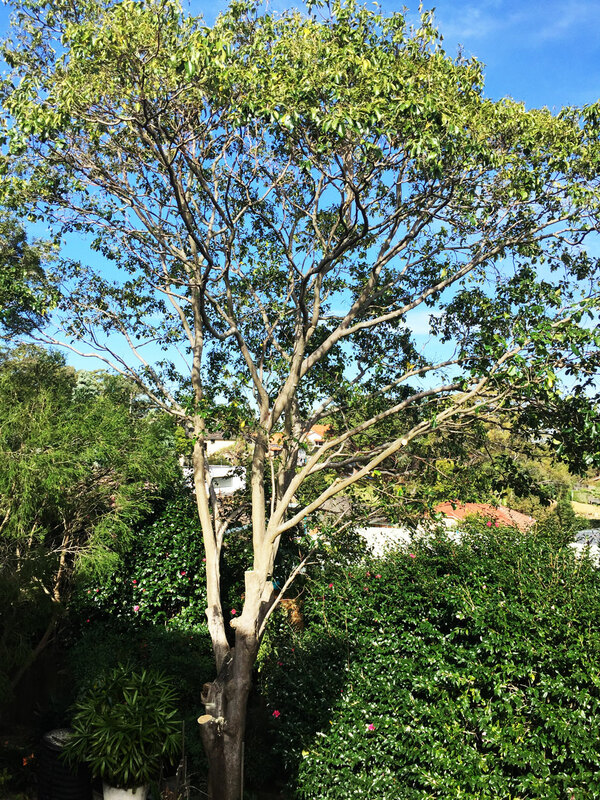 In Balgowlah Heights a Calodendrum, or Cape Chestnut, was in desperate need of lopping to remove the deadened lower branches. The end result is a much neater tree with a high canopy, giving filtered shade and allowing vegetation below to thrive. The lovely rounded shape of the foliage was maintained, so when this tree flowers, it will look as beautiful as it did before the trim.